What a wonderful and relaxing getaway! Rustic Cabin is such a charming and relaxing cabin with lots of character and everything we needed. We loved having dinner outside both nights of our stay. It was wonderful hearing the creek while relaxing by the fire with a glass of wine. Plenty of things to do and see in the area! Thank you Cathy for providing such a wonderful oasis for a much needed getaway! 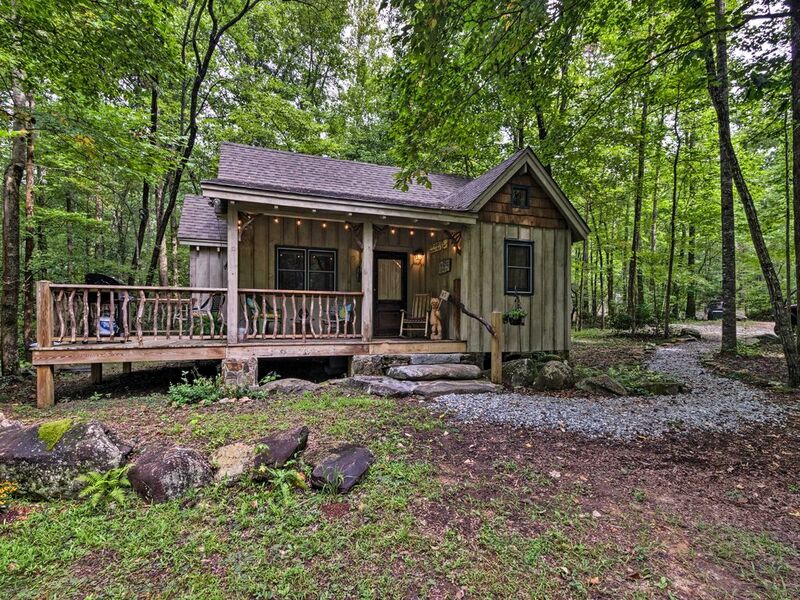 This cabin is absolutely beautiful and has a perfect location for hikers who want a cozy home base! We hope to return! It was everything we needed for the weekend...thanks. I was blown away with this property. Perfect cabin for a couple who wants peace & quiet. Our power ended up going out for 2 hours but the host were SO QUICK to fix the problem. We will definitely be back to this rustic cabin!! It was so beautiful! The cabin was what we needed! It rained our whole trip so we stayed in the cabin 95% of the time but the cabin was so beautiful and peaceful that we still got to relax! We miss it already! Hopefully next time there will be better weather for us to enjoy the beautiful surroundings.